Last Saturday was hot and humid. Not ideal weather for a 2½ hour drive from southeast London to the Fletching Glasshouses in Lewes, Sussex. But in spite of the heat and traffic, it was worth the long journey…the first Changly’s Kitchen field trip! The glasshouses are rarely opened to the public and for a good reason. This is a family run working nursery not an ornamental one, and it’s comfortingly realistic! In other words, it bears no more resemblance to a garden centre than an Amazon warehouse does to a bookshop! It is a place where old shrubs are thrown into a pile for recycling, cucumbers are not supermarket-fashionable, and creepy crawlies are part of the show. Even rainwater is collected and pumped back to feed the plants. What’s more the staff are cheerful and clearly love their jobs. 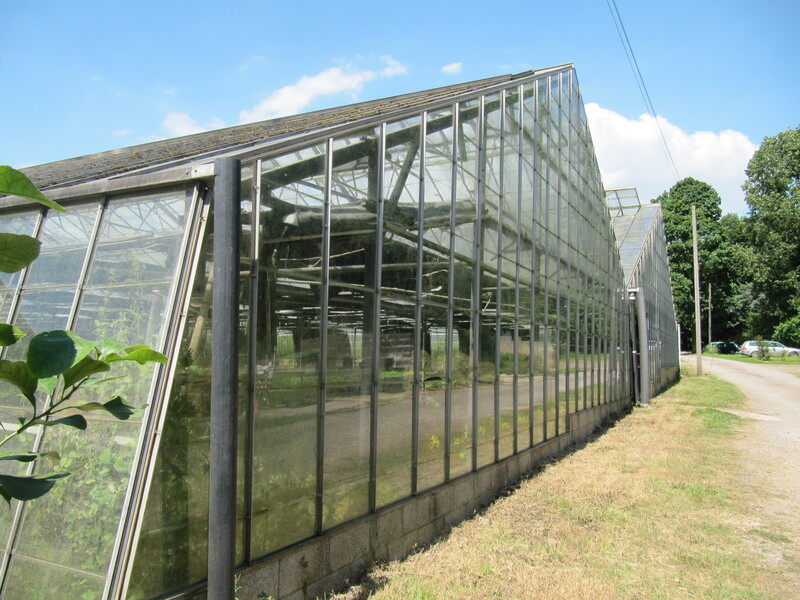 The vast Victorian-styled glasshouses contain a huge range of plants and vegetables, all grown organically for domestic consumption. 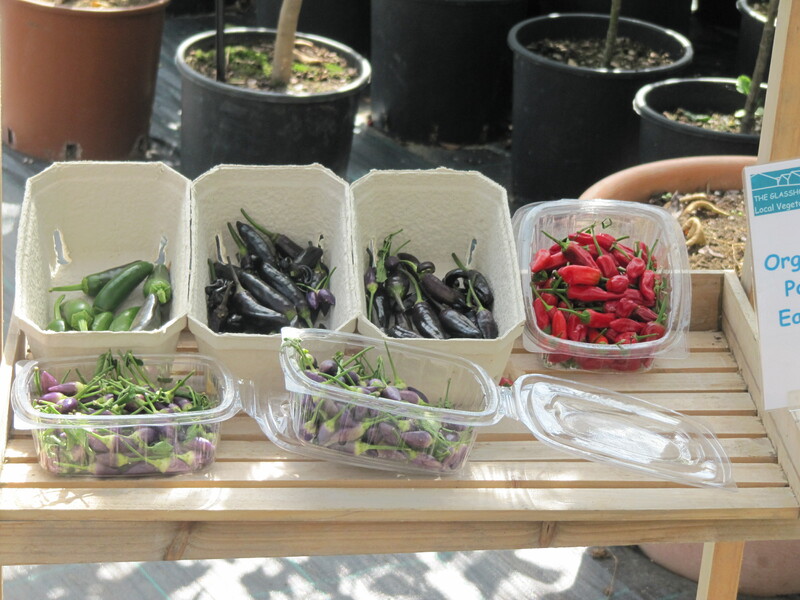 There are British favourite salad greens and vegetables, traditional country flowers, and popular citrus trees as well as unusual, exotic Asian fruits and herbs. The kind of garden of my dreams! Most of the salads and vegetables produced are sold locally while the potted plants are sold as gifts through their aptly named online shop: Plants4Presents – a core business that continues to grow. 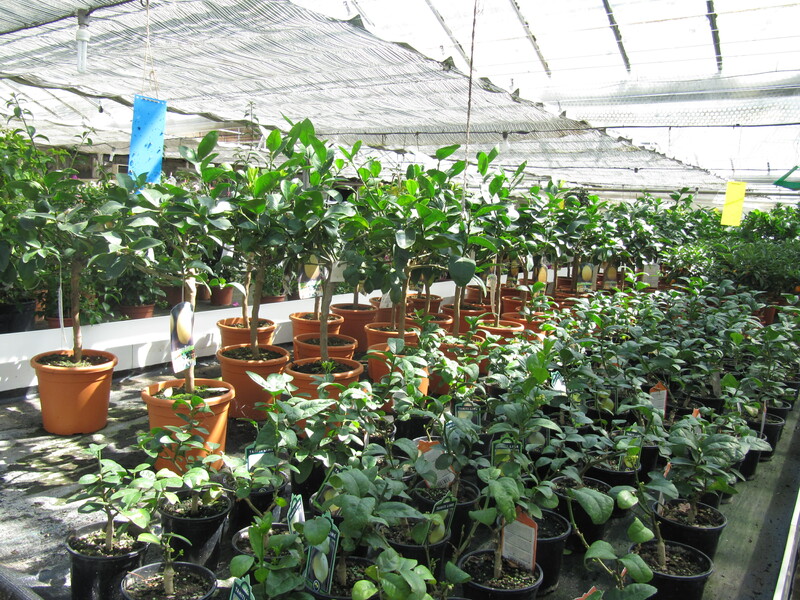 Being a lover of “real” tea (the no milk or sugar variety), I was also surprised to learn that a tea plant, the original species Camellia Sinensis (the “Chinese” tea varietal) is also available to purchase. The tea plant is a hardy evergreen shrub and likes cool and wet high altitudes. Not surprisingly, it’s well suited to British weather. So the highlands of Scotland are now home to a small tea plantation and many homes are actually growing their own tea, giving new meaning to the term”Great British Cuppa”. For the fruit lover, the exquisite array of citrus plants makes addictive viewing. On display were several varieties of lime, lemons, and oranges, all very popular gifts – especially the orange plants around Chinese New Year, which are traditionally given as gifts symbolising good luck. 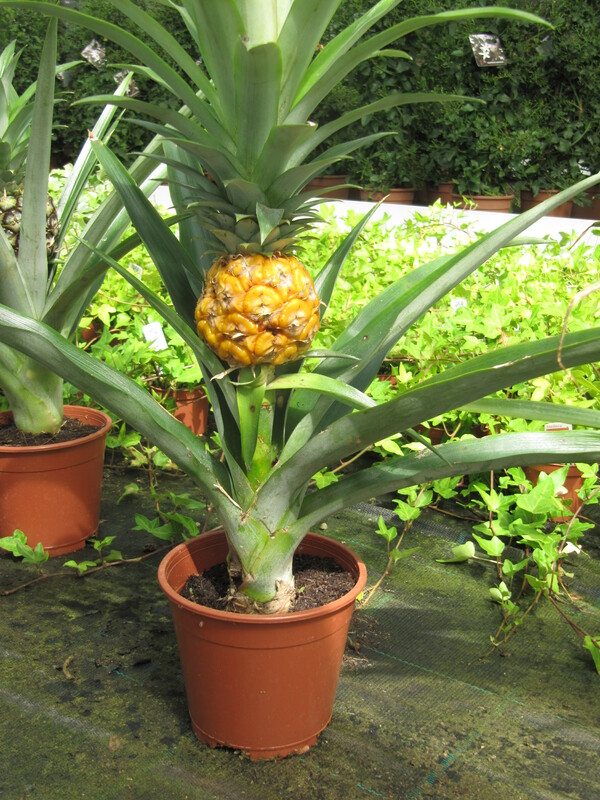 I have to say my particular favourite gift plant was the baby pineapple. A decadent gift indeed but certainly tastier, more memorable and much nicer to receive than a pair of socks! As a foodie and cook, I was also impressed by the unique range of food-bearing plants namely, the pomegranates, pistachio, and passion fruit. Not plants you normally find on the high street. Of course, I couldn’t resist hunting for the herbs and spices mentioned in my cookbook – and I wasn’t disappointed. All the usual suspects were available, plus a few surprising ones like ginger and turmeric which I didn’t know you could actually grow at home. 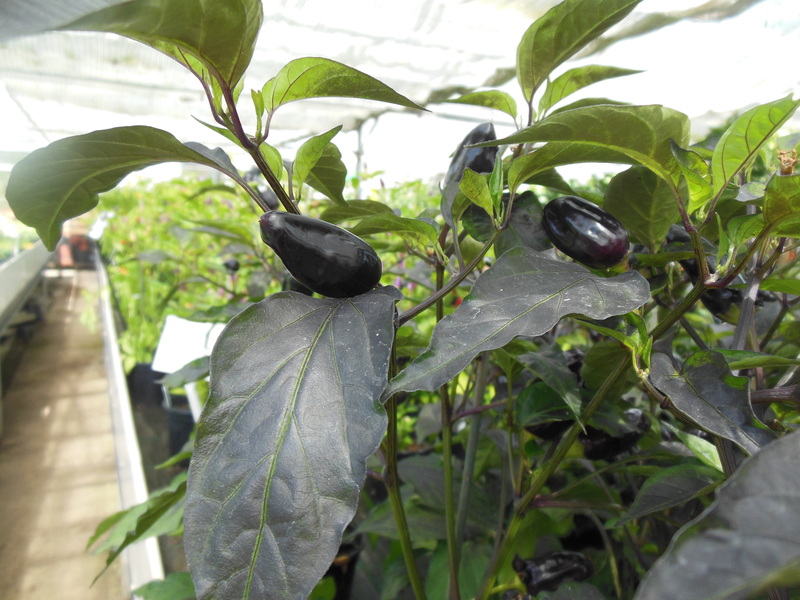 Other highlights include a large section dedicated to chillies of different shape and sizes, from the recognisable red and orange to the super cool black version. Then there were the amazing aromatic herbs like Kaffir lime leaves, lemongrass and Thai basil…green and purple variety…the latter two being very common ingredients in many Vietnamese dishes, and frequently found in my fridge at home. It’s shame these glasshouses are not open to the public as I spent a genuinely enjoyable Saturday afternoon looking and savouring floral and edible plants from across the globe. Best of all, I discovered that Britain is a growing source of exotic plants which can be on your table with a few clicks of your mouse. A big thank you to Alan, Isobel and Emily Rae for the informative tour of your wonderful greenhouses!